MarketHairExtension is committed to offering the best hair products. Since its foundation in 2008, MarketHairExtension has provided hundreds of customers with superior quality hair and won worldwide acclaims. We are very involved in the process of selecting great products that perform exceptionally well. All of our hair products are 100% human hair without aciding. We strive to give you the best advise and tips as we believe our continued growth depends on our commitment to passionately work to surpass your expectations every time you shop with us. 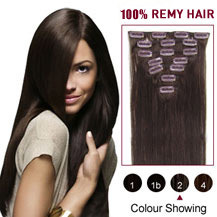 Our hair extensions come directly from the manufacturers that we cooperate with. We do not use third party sources. So we are able to pass these savings to our customers. We are dedicated to produce our hair extensions with the highest quality. Our products are simple to use and maintain and with the most natural looking. 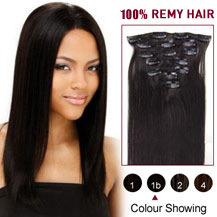 We use 100% virgin Chinese & Indian Remy Human Hair, which is with highest quality in the current market. Our experts have over 15 years experience in the hair extensions industry. 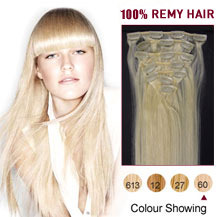 We believe that hair extensions should be fabulous and stylish, yet easy and affordable. Therefore, we have kept it simple by prioritizing quality, while still creating easy-to-use methods and customized start-kits at an amazing price. And we strongly believe in cutting out the middleman so instead of our customers having to deal with a distribution channel as they normally would now they can deal directly with us. The biggest advantage for our customers is that they save money when they deal directly. By launching our MarketHairExtension online shop, we give you access to a 100% real human hair at affordable prices. 1. Our prices are amazing and unmatched. Similar hair quality retails for more than double the price in the beauty stores. 2. MarketHairExtension offers all main attachment techniques for short or long term hair extensions. 3. Our customer service is always here to help. We reply to e-mails 7 days a week 365 days per year. 5. MarketHairExtension will gladly exchange or return your extensions if needed. 6. MarketHairExtension supports ethical principles for collecting the hair and environmental development of products. 7. MarketHairExtension is at the edge of the hair extension development, bringing innovations to the market. MarketHairExtension is devoting in offering customers 100% Indian Remy Human hair extensions with high quality on reasonable prices. We are enthusiastic about what we do, and aim to provide the most beautiful hair extensions to bring you greater charm. We ensure you that you can get what you have paid for. We are completely dedicated to maintaining the standard of excellence we have set in the industry for quality, products and customer service to ensure a positive experience for you.